A pearl millet farm in Raichur, Karnataka. A new government proposal seeks to put millets–which have higher iron, calcium and mineral content than rice, wheat and wheat derivatives–back in the Indian diet. The union government proposes to include coarse grains such as jawar (sorghum), bajra(pearl millet) and ragi (finger millet) in the mid-day meal programme in schools and also distribute it through the government subsidised food programme, the public distribution system (PDS), agriculture secretary SK Patnaik said recently. This announcement comes five years after the introduction of the National Food Security Act, which provided for the distribution of millets, once a staple in the Indian diet. 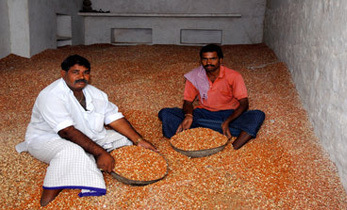 PDS beneficiaries, 813 million of India’s poorest people and roughly 75% of its rural population and 25% of its urban population, will get millets at Rs 1 per kg. So far, only a few states such as Karnataka and Tamil Nadu had made available millets and that too only in certain pockets. However, the government will give millets a makeover before making them available through the PDS. “Instead of distributing millets as a coarse grain, the government proposes to bracket it in a new ‘nutricereals’ category,” Vilas A Tonapi, director, Indian Institute of Millets Research, told IndiaSpend. There is now growing awareness of the superior nutritional profile of millets compared to wheat and rice–the staples thus far distributed through the PDS and the food preference of consumers at large. Millets, because of their higher iron, calcium and overall mineral content to wheat and rice, hold the potential to help address India’s malnutrition problem, a fact IndiaSpend reported in August 2016. More than half of India’s women and children, and one in five men are anaemic. Their loss of productivity shaved $22.64 billion (Rs 1.5 lakh crore) off India’s gross domestic product in 2016, more than three times the health budget for 2017-18, IndiaSpend reported in November 2017. Malnutrition is also implicated in India’s growing tide of diabetes, we reported in December 2015. Diabetes is now affecting the urban poor as well as the affluent. This renewed focus on millets may not be easy to achieve. India’s average annual millet production stood at 17.79 million tonnes between 2010-11 and 2014-15. This is less than a tenth of the 215 million tonnes of rice and wheat produced. Thus, large-scale procurement of millets presupposes a radical change in India’s cropping pattern. “Yes, the government will encourage more farmers especially in rain-fed areas to grow the grain,” said Tonapi. The revival of millets could benefit India’s floundering agriculture sector by boosting farm incomes and sustainable agriculture, as explained in later sections. 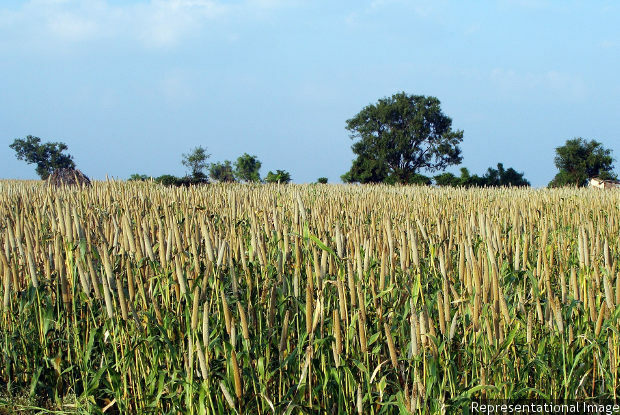 It could also be a step towards sufficient food and nutrition in the eventuality of climate-change-triggered drought because millets are a hardier crop than wheat and rice, with some varieties growing well in areas more arid than western Rajasthan, India’s driest region. Making millets a significant part of the average Indian’s diet will involve reversing a food preference trend that can be traced back to half a century. A staple till the 1960s, millets got pushed off the plate of the average Indian by wheat and rice, IndiaSpend reported in August 2016. By 2010, the average annual per capita consumption of sorghum and millets slid from 32.9 kg to 4.2 kg while the consumption of wheat almost doubled from 27 kg to 52 kg. In rural India, this change was the obvious outcome of making wheat and paddy inexpensively available through the PDS, an initiative to alleviate malnutrition associated with low calorie intake. “In 1965, food insecurity was so widespread that we actively promoted wheat and paddy to alleviate the situation,” Ashok Dalwai, chief executive officer, National Rainfed Area Authority, told IndiaSpend. In urban India, the belief that wheat and rice are superior to millets was the biggest reason for this dietary evolution. Food convenience has also played a role. Wheat lends itself particularly well to the mechanised mass production of value-added products such as biscuits, cakes and noodles. Food can be calorie (carbohydrate) rich but nutritionally poor. This is especially true of processed wheat-based packaged foods. Millets have more iron, calcium and minerals than wheat and rice, a comparison IndiaSpend tabulated in August 2016, which is reproduced here. In general they have a lower glycaemic index than rice and wheat, for which reason the grain could help stem India’s growing diabetes epidemic, said S K Gupta, principal scientist, International Crops Research Institute for the Semi-Arid Tropics (ICRISAT). Millets are also less resource-intensive to grow than wheat and paddy. 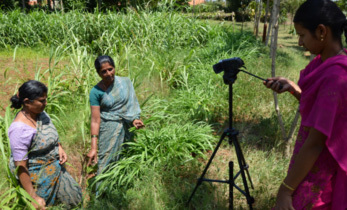 For instance, pearl and finger millet require one-third the water of paddy, 350 mm rainfall as against 1,250 mm, IndiaSpend reported in August 2016. The intensive agriculture of the Green Revolution has caused acidic soils and a falling water table, pressing issues that need to be resolved, agriculture must be made sustainable, said Dalwai. “Millets could play a major role in this because they grow well in poor soils and consume less water than rice and wheat,” he said. With every needy Indian now officially covered by the PDS, the government has shifted focus to examine what is missing in the diet of the average Indian. Whereas rural India is likely to respond positively to the inclusion of cheaper millets in the PDS, urban India might be a different story. To create awareness about the impending shift to millets, the government has proposed to the United Nations that 2018 be declared the International Year of Millets. 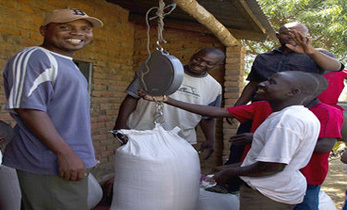 The government would like more entrepreneurs to manufacture millet-based convenience foods that would appeal to urban consumers. But entrepreneurs want the government to tweak taxation policies to make the pricing of millet-based products more attractive. Growing awareness about the nutritional value of millets in the last few years, especially the lesser popular small millets such as little (kutki), kodo (kodon), foxtail (kakum) and barnyard (sanwa), has put pressure on their limited supply. India is facing a 45% shortfall in supply of small millets, said Tonapi. Consequently, the industry has seen a 30% price rise in the last three years alone, according to Kumar. Mass scale procurement of millets at a remunerative price for distribution through the PDS is expected to encourage more farmers to cultivate millets. However, the government is not necessarily looking at a mass switch from wheat and paddy cultivation to millets. Millets are fast-growing, which raises the possibility of squeezing an extra crop into agricultural schedules, explained Tonapi. For instance, in Andhra Pradesh where a ban exists on growing a third paddy crop in view of the falling water table, farmers are growing millets on 50,000 hectares. Additionally, the idea is to identify niche rain-fed areas where millets have not been traditionally grown, said Tonapi. Making available seeds of short-duration varieties of millets would also help boost availability and farmer incomes, this is especially true for the sorghum kharif (monsoon) crop that tends to get spoiled in too much moisture. 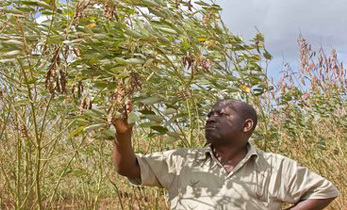 “Slower-growing varieties of sorghum that get spoiled end up in the brewery supply chain. 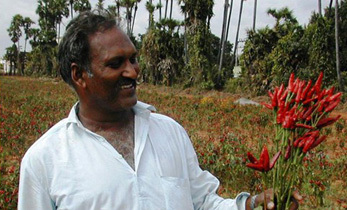 Farmers would earn more by cultivating fast growing hybrids for the food chain,” said Tonapi. Doubling farmer incomes by 2022 is a stated objective of the government. This relates closely to millet cultivation because the crop is largely grown by small and marginal farmers, who work on 85% of India’s 138.35 million operational holdings spanning 159.59 million hectares. They are also among the poorest farmers in India. To this end, the government has drafted the Contract Farming Act, which will be released soon to the state governments. Contract farming creates an assured market and price for a crop, which removes a lot of the risk surrounding agriculture. The prospect of global temperatures rising 1 to 6°C by 2100 raises serious questions about food sufficiency in the face of more frequent droughts. Millets are known to be a hardier crop than wheat and paddy. “In times of climate change millets are often the last crop standing and, thus, are a good risk management strategy for resource-poor marginal farmers,” reads this recent government press release. Pearl millet, in particular, reliably produces grain in harsh conditions such as low soil fertility, high soil pH, high soil salinity, low soil moisture, and a mean annual precipitation as low as 250 mm, says this September 2017 study co-authored by ICRISAT, published in the journal Nature. West Rajasthan, India’s most arid region, receives 313 mm rainfall per annum, 25% more rainfall than what pearl millet needs. Pearl millet can also withstand air temperatures higher than 42°C. 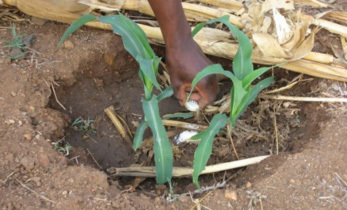 In the same drought conditions, rice, bread wheat and durum wheat, and even other so-called coarse cereals such as maize and sorghum are likely to fail, the study said. Therefore, increasing the share of millets in the country’s food basket beyond the current 10% would help move towards food and nutritional sufficiency in the eventuality of climate-change-triggered drought, a likely possibility, IndiaSpend reported in December 2015. Millets could be the answer to some of India’s most enduring challenges.